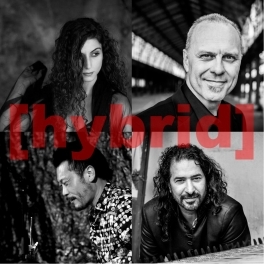 BL!NDMAN [hybrid] is the new project of BL!NDMAN: Eric Sleichim invites 3 versatile musicians around him for a project based quartet. The first BL!NDMAN [hybrid] quartet was created for the opening of the exhibition’Sacred Places, Sacred Books’ in Antwerp in September 2014 and the theatre tour of Helse Tijden: Pursuit of Happiness of Behoud de Begeerte in March 2015. 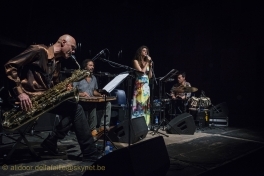 Reut Rivka (soprano), Osama Abdulrasol (qanun) and Etienne Plumer (percussion) played alongside Eric Sleichim (saxophones & electronics) to form a unique quartet. 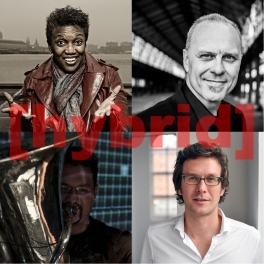 For the second edition of BL!NDMAN [hybrid] Sleichim invited the versatile vocalist Claron McFadden, the adventurous cellist Jörg Brinkmann and turntable wizard Matthew Wright to make a performance inspired by Russian futurism. The third edition of BL!NDMAN [hybrid] was created for the theatre performance NETWORK, based on the famous 1970’s movie, directed by Ivo Van Hove and with Bryan Cranston. 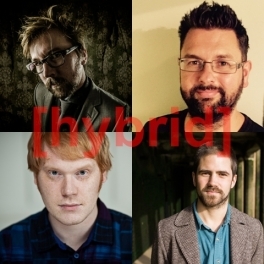 Eric Sleichim made the music and Matthew Wright, Tom Challenger, Pete Harden and Kit Downes perform it live on stage using laptops, keyboard and live electronics. 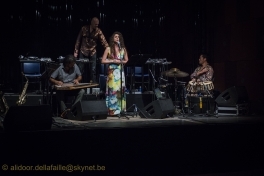 BL!NDMAN is supported by the Arts Administration of the Ministry of the Flemish Community and the Flemish Community Commission of the Brussels-Capital Region. BL!NDMAN [sax] play Selmer Paris Saxophones. BL!NDMAN [drums] is supported by Muremo, distributor of Bergerault Percusssion Instruments.